At SMC Ltd. we understand your desire to have a single point of contact for your full medical device. With SMC’s demonstrated strength in IQ/OQ/PQ validation, our network of established and qualified suppliers, and our experience in custom manufacturing, we have the comprehensive resources in place to manage your program from conceptual design to final distribution. We’ve created a seamless process that ensures the highest level of quality while keeping your bottom line and timeline in mind. Successful supply chain management depends upon detailed certification; at SMC our in-house team of dedicated supply chain experts ensure that all aspects of the supply chain remain compliant with your needs. Each supplier in the SMC supply chain is stringently reviewed and certified. This provides customers with reduced risk to their project and less vulnerability to lead-time disruptions, resulting in accelerated time-to-market. At SMC, we work with you to understand your expectations and ensure they align with each link of the supply chain to provide the shortest lead-time and establish continuity across the entire supply chain. This assures all needed resources go toward meeting our customers’ demand for their product. SMC continuously monitors supplier metrics to ensure the supply chain is efficient, competitive, on-time, and delivers high quality and value. SMC works hard to choose premier suppliers to deliver the components, sub-assemblies, and services at the highest quality levels to meet customer requirements. Our strategic sourcing team reviews the financial integrity, manufacturing capabilities, and quality systems of our suppliers before they are considered as a viable supplier. Leveraging SMC’s various levels of vertical integration, we continuously review internal manufacturing costs vs. using external sources. We regularly benchmark our internal capabilities, for both technology and cost, with our external supply base. This ensures SMC remains at the top of the technology curve and provides our customers a discernable competitive edge. We understand that deadlines are critical in the medical market, whether it is for initial concept review, clinical trials, or product launch. We work with you to identify higher risk items in the supply chain and address them with a timeline plan that meets your needs. By controlling the supply chain through the entire device lifecycle, we ensure that customer requirements are met. With an in-house global supply team, we align ourselves with significant suppliers who have a global footprint. This allows our customers the ease of doing business anywhere in the world while maintaining the benefits of having a local source. SMC is prepared to handle all aspects of your device including metal components. The attributes of the metal parts in the assembly must be understood in order to optimize the overall device performance. SMC engineers are experienced in the properties of metals and are ready to assist you to realize practical and cost-effective solutions for your plastic/metal products. The metal part may be a cannula wire, needle, pin, plate, bushing, or a spring. It will very likely be made in one of the many available grades of stainless steel, or Nitrol. We understand the mechanical properties and machining options for these metals as well as what treatments, such as heat treatment, electro-polishing, or passivation, may be needed in order to achieve the required functionality of the device. By discussing your medical devices with SMC early in the development cycle, we can utilize our experience to assist you in achieving the most optimized solution. The effectiveness of medical devices that incorporate electronics rely on the robust design, engineering, and performance of not only the electronics themselves, but how they interact and fit within the devices as well. With SMC’s vast supply chain and medical device experience, we are prepared to help you through any obstacles that may arise in the management of electronics associated with your full device. With our in-house design expertise and electrical engineers, SMC can partner with you to help design and manage the electronics of your device. We help you answer the difficult questions like, how do we manage over 100 components when designing the circuit board? How do we deal with obsolescence? How do we source and retest the new component? How will sterilization effect the electronics? SMC’s engineers have the answers and the resources to help design the electronics into your device. 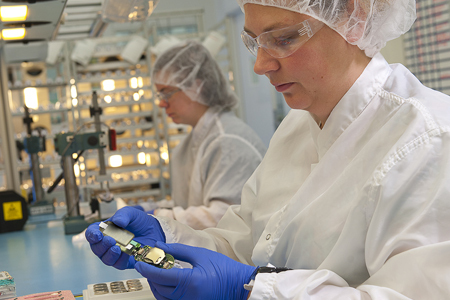 Contact SMC Ltd for more information on their medical device supply chain management capabilities.